One of the few certainties that we have as humans is that the Sun always comes and goes, always in intervals of 24 hours, and will continue to do so for the next 5 billion years or so. Owing to this familiar cycle, we sometimes take for granted that our host star is not itself completely stable. It is active, and this activity shapes the evolution the solar system and life on Earth. Because we use the Sun as a reference for other stars, it is thus crucial that we measure its activity as accurately and precisely as possible. 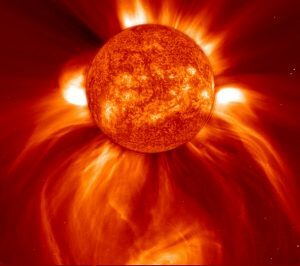 A large coronal mass ejection of the Sun in 8 January 2002. Courtesy of SOHO/LASCO consortium. SOHO is a project of international cooperation between ESA and NASA. Stars are big balls of hot gas with lots of moving parts. The ones that are similar to the Sun (i.e., solar-type stars) have large convective atmospheres, which act just like boiling water inside a cooking pot. The convective circulation of plasma generates magnetic fields, and the stellar rotation, in turn, makes field lines wrap around the star, creating a stellar dynamo. When the magnetic field lines concentrate, they produce dark spots in the stellar surface and spectacular mass ejections; the activity of a star is measured by the strength of these episodes. One precise and accurate way of assessing stellar activity uses the features in stellar spectrum known as the Ca II H & K lines. Their strength can be easily measured with spectrometers, and are then translated into a ratio called the S-index (the higher it is, the more active the star). The most famous survey of stellar activity is the HK Project at Mount Wilson Observatory (MWO), which consisted on assessing S-index of many stars in the sky, and ended up becoming the standard calibration for current studies on activity. The problem is that not all observations are carried out with the same instrument, and hence systematic errors start to become a serious problem. In order to understand the role of activity in the physics of stellar and planetary evolution, it is important to place the Sun, the one star we know best, in the same context as the others. 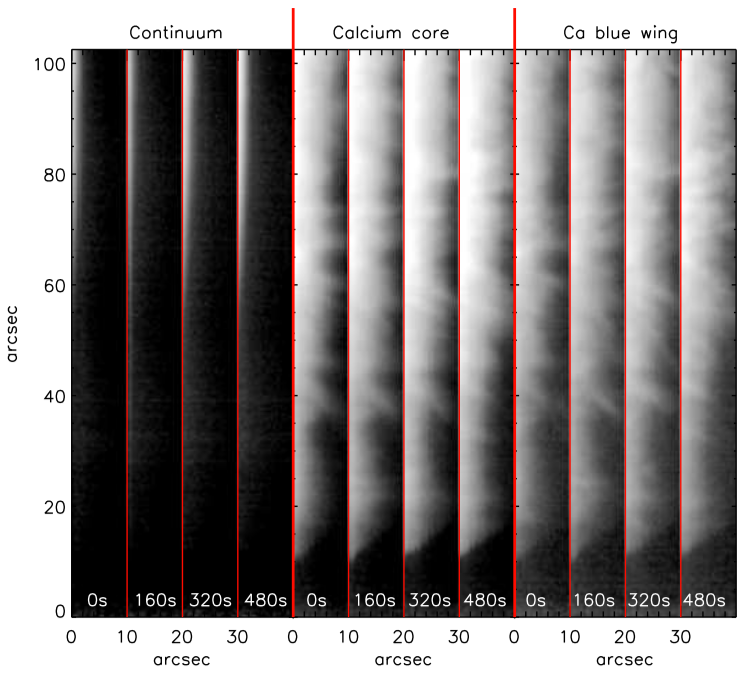 In today’s paper, the authors aim to precisely and accurately measure its activity using spectroscopic observations of the Moon — which reflects sunlight — obtained with the same instrument employed at the MWO. 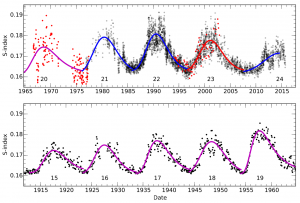 Sun-like stars have activity cycles with periods of the order of a few years. The solar cycle has an 11-year period, encompassing a minimum and a maximum. The authors directly measured the minimum, maximum and mean S-index of the solar cycle 23 (1996 – 2007, although the MWO data goes only up to 2003), and found that they were significantly lower than previous estimates of the same cycle. This result shows that, when using different instruments, systematic errors plague the measurements of activity, but the good news is that now we can correct them by applying a better calibration with results from today’s paper. The solar activity during cycle 23. The MWO data are the red dots, and the red curve is a fit to the data. Most of the activity cycle measured by previous studies (dashed curves) are visibly shifted to higher values. Well, now that we have dealt with accuracy, what about precision? As it turns out, there is no lack of solar activity data in the literature, which are now correctly calibrated. 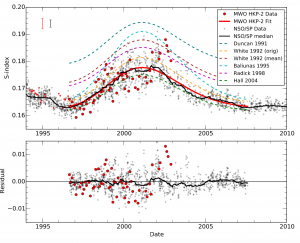 The authors used them to constrain the solar activity minimum, maximum and mean values within less than 1% for all indexes. 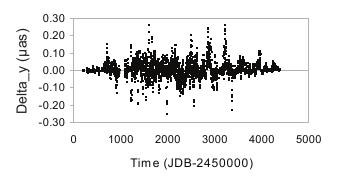 Composite time series of the S-index of the Sun, using various data sets (colored symbols), which are now correctly calibrated. The colored curves are fits to the data. So, the Sun is slightly less active than we previously measured, and this impacts our understanding of solar-type stars the most. By correctly placing our star in the context of others, we can better assess how common it is, which helps us answer questions about the conditions necessary for life to emerge and how it evolves along with the star. 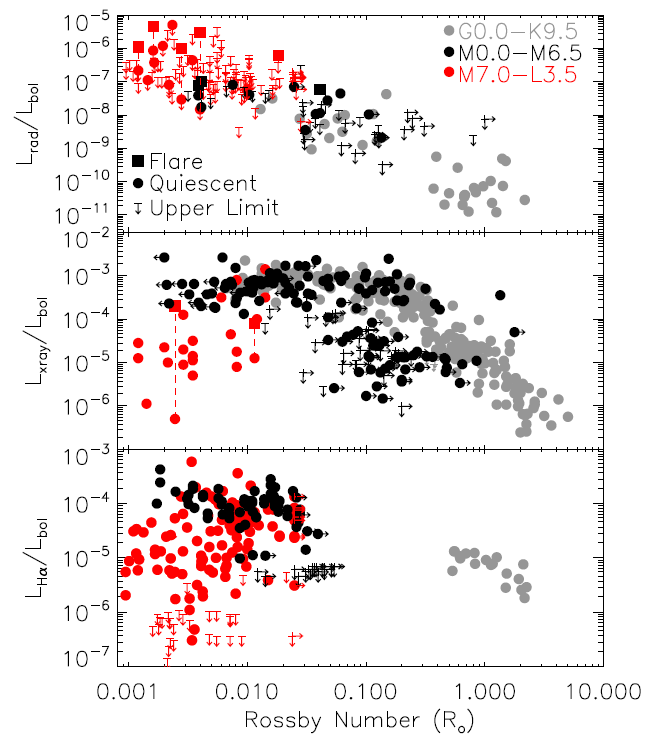 These results also rectify some inconsistencies previously observed in the activity of solar-type stars, and again reminds us of a critical aspect of science: systematics matter. The article itself will serve as a guide on measuring stellar activity, paving the way towards better practices in the field. The Sun from September to November 2016. Larger GIF available here. Credit: SOHO (ESA & NASA).